Our staff wish you a pleasant stay in Glasgow. 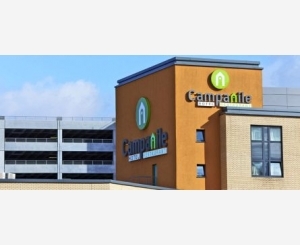 Your Campanile HOTEL-RESTAURANT Glasgow Secc is in an ideal location: 1.5 km from the city centre, 3 km from the train station, 15 km from GLASGOW Airport and accessible from exit junction 19 off the M8. We offer you a selection of seasonal ingredients that guarantee quality and freshness all year-round. At lunchtime you can enjoy fresh sandwiches on baguette bread. At dinner, treat yourself to our daily specials. Don't forget our generous hors d’œuvre and dessert buffet.